The holidays, especially Christmas, are the majority of people’s favorite part of the winter season. As Thanksgiving just ended, the community, especially Virginia Wesleyan University’s student body, are thrilled that Christmas is just around the corner. Final exams, basketball seasoning beginning, and Christmas break are just a few of the things that remind Virginia Wesleyan students that Christmas is approaching. One of the favorite traditions at Virginia Wesleyan University is the annual Christmas tree lighting on Godwin lawn. 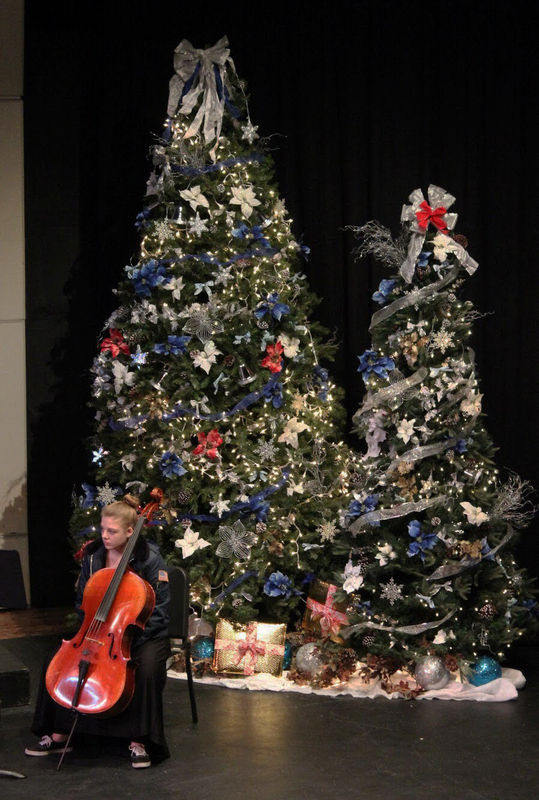 “To me, the tree lighting is one of my favorite VWU traditions. I reflect back to my days as a student here and the fun we had at that event. It is a wonderful time for our community to gather together and celebrate the end of a very successful semester,” Jason Seward, assistant vice president for student affairs said. It seems that as the school has gone through many positive changes this 2016-2017 school year, such as, becoming a University, adding a new student track, starting the groundbreaking of a new Fine Arts center and much more, which had given the idea to alumni that implementing a new Christmas tree for the annual Christmas Tree Lighting was in order. “Myself and several other alums were talking about the tree lighting earlier this semester. The current tree has encountered some issues in its growth due to wind damage and shouldn’t be used. I suggested to these alums that we donate a new tree. Given their fond memories of the event as well as their love VWU, they jumped at the opportunity. The new tree is a Nellie Stevens Holly. It grows well in Coastal Virginia and produces bright red berries (associated with the winter/Christmas look). It will eventually grow to 15″-25’,” Seward said when describing how the idea of the new tree came into play. Yes, this year at the annual tree lighting, students and faculty will be witnessing the first lighting of a brand-new Christmas tree, the first Christmas Tree Lighting as Virginia University with a brand-new tree. Students are encouraged to come and watch the Christmas tree lighting,the lighting will be followed by a Christmas meal will be provided by VWU cafe for students. “Gathering as a whole community is my favorite. When we all come together, it is a very powerful thing!” Seward said about the annual lighting.